Our high definition coated mesh banners are ideal for event signage and sponsorship deals for any Sunshine Coast Event, temporary fences, and is used frequently for the construction industry. Weighing in at an equivalent 270gsm, the mesh banner has a high weave count of 1000x1000, but its mesh-like state allows for air to flow through the banner. 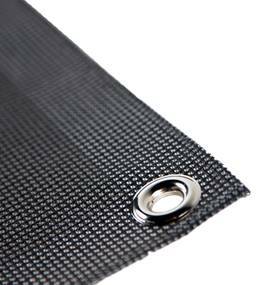 Eyelets are included in this product placed every 500mm or equal spacing.